As we approach All Hallows Eve, Wormwood welcomes back an old friend, CLASSIC CAMP, who has been working overtime for us and venturing into realms inhabited by creatures and creeps of all kinds. 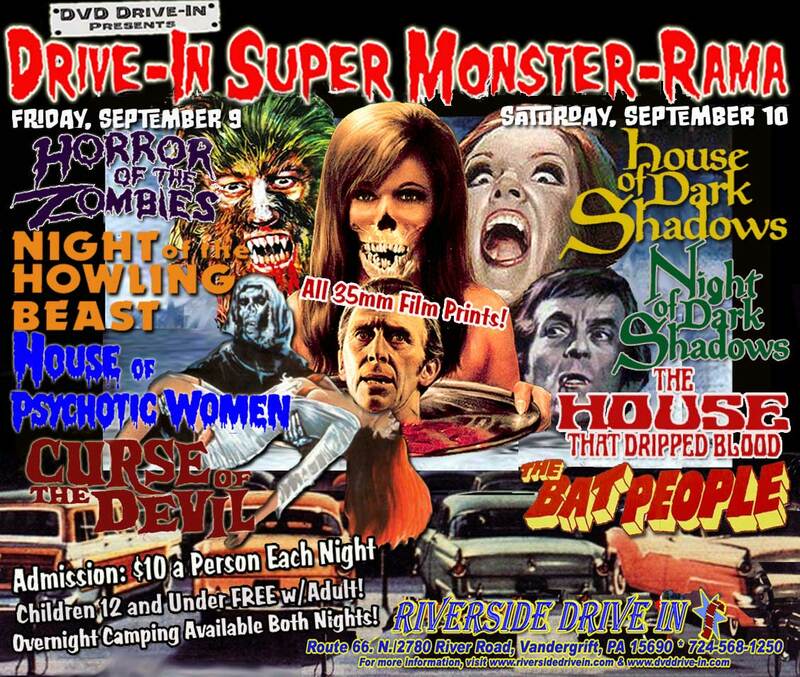 First stop on CC's agenda was the MONSTERAMA drive-in horror festival held in beautiful Vandergrift, PA! We get the goods on two days of nostalgic drive-in madness featuring movies starring PAUL NASCHY and the cast of DARK SHADOWS! Not to mention a boatload of greasy, salty snacks! Read all about it HERE! Then Camp heads to Chesapeake, VA for MONSTERFEST 13, a celebration of ghoulishness featuring more monster movies and bizarre characters like DR. MADBLOOD (I like him already!) and ZOMBIE ALICE. Check out his report HERE! Both articles feature exclusive pics and should warm the black heart of any monster fanatic! More big news on the way soon....something might be coming up that we haven't had here at Worm-land for a long, long time. Stay tuned! XOTH "Invasion of the Tentacube"
RECITATIONS "The First of the Listeners"